The book on Japanese art and design Professor Il Kim co-edited was published in early December. 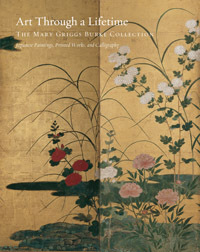 The two-volume book entitled Art through A Lifetime: The Mary Griggs Burke Collection (www.washington.edu/uwpress/search/books/MURART) is the entire catalogue of The Burke Collection, famous for its Japanese art and design collection, viewed as the most important holding outside Japan in a private hand. The collection contains more than 1,000 Japanese objects from ancient to modern. (Although in much smaller quantities, the catalogue includes also Korean and Chinese art.) Professor Kim often takes his Pratt students to the collection. Congratulations Professor Kim!